We exist to build relationships with each other and deepen our relationships with Christ. Take the east most staircase of the Children's Education building to the second floor. The CHAOS room (209) will be directly on your right. 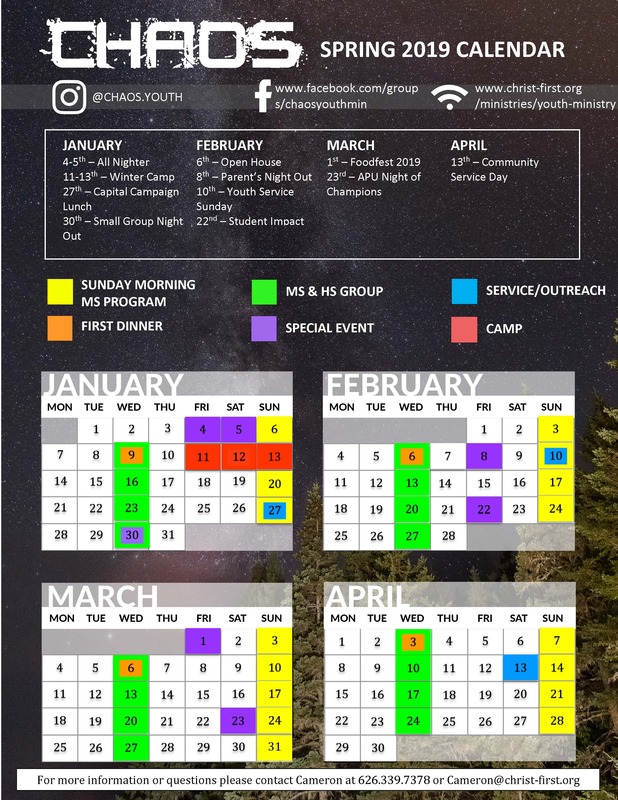 CLICK HERE to view our 2019 Spring Calendar. For more information on Summer Camp 2019 check out our Camp Info page. For more information, please contact our Youth Pastor Cameron Gillespie.